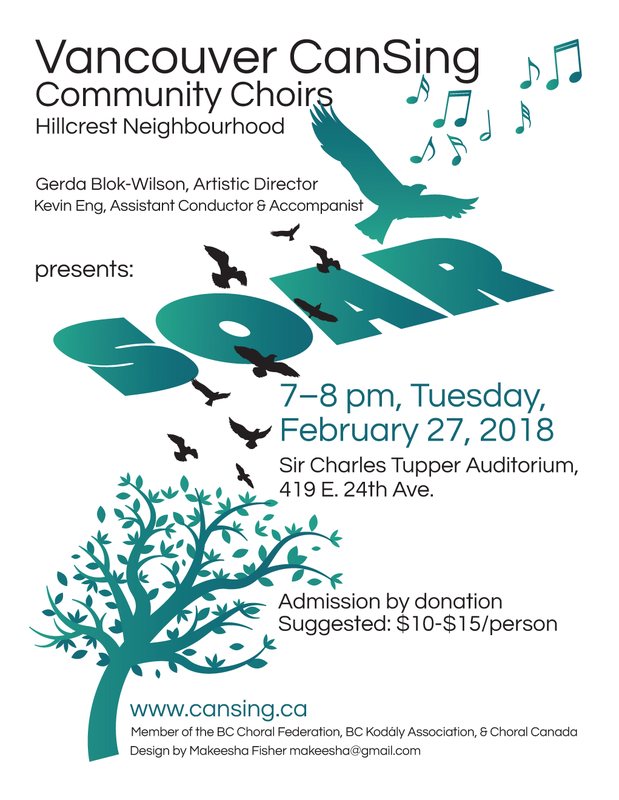 Vancouver CanSing Choirs directed by Gerda Blok-Wilson and accompanied by Kevin Eng will present THE SPIRIT OF ADVENTURE, Saturday, February 28th, 2:30 & 7pm at 109 East 40th Ave (Immanuel Baptist Church). 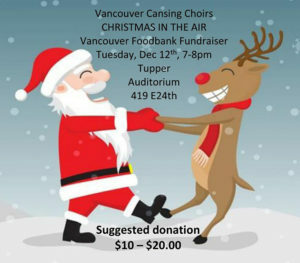 The one hour show, presented by 140 voices from the Vancouver CanSing Choirs, will feature songs from the popular to classics including “The Dream Ship” (LaBarr), “Spirit of Adventure” (Up), “Awake the Trumpet’s Lofty Sound” (Handel), “Northwest Passage” (Stan Rogers) and mass choir selection, “We Rise Again” (Dubinsky/Adams). 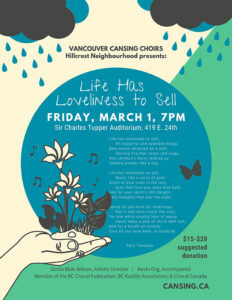 Admission is by donation ($5.00 plus/person recommended to cover concert expenses and professional fees). Hope you can join us!